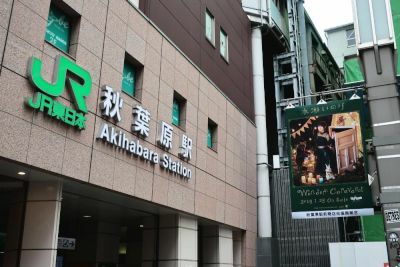 At the end of January 2019, there were tapestries on the south side of JR Akihabara Station for the latest single by Minase Inori. 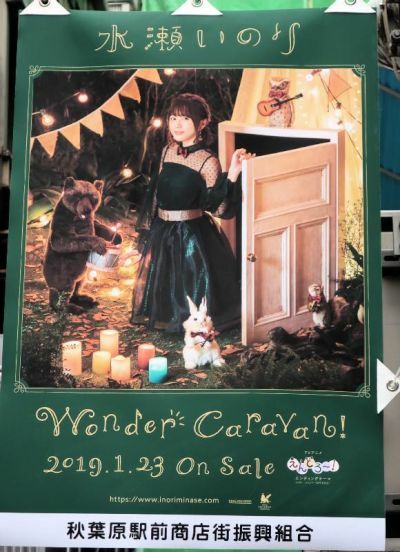 The ending song for the TV anime Endro "Wonder Caravan", went on sale 1/23. 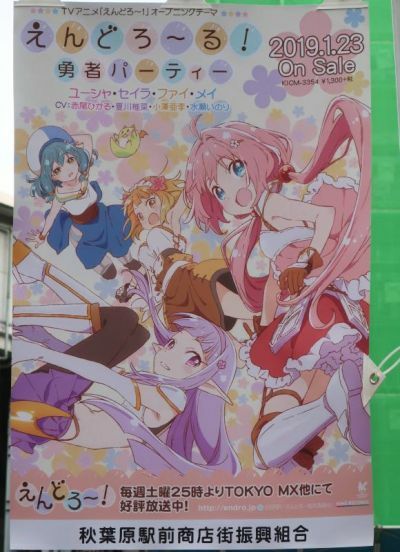 The tapestry was two sided, and the back side had an advertisement for the opening song for Endro "End Roll", by Akao Hikaru, Natsukawa Shiina, Ozawa Ari, and Minase Inori.